"Seidio's long history of mobile protection lives strong in the Innocase Active"
It’s safe to say that the more moving parts there are on a BlackBerry smartphone, the greater the chance you have of dropping it. Think about it; say you’re running to a meeting-You have your bag or coffee in one hand, and your BlackBerry in another. Suddenly, you get an urgent email from your boss. 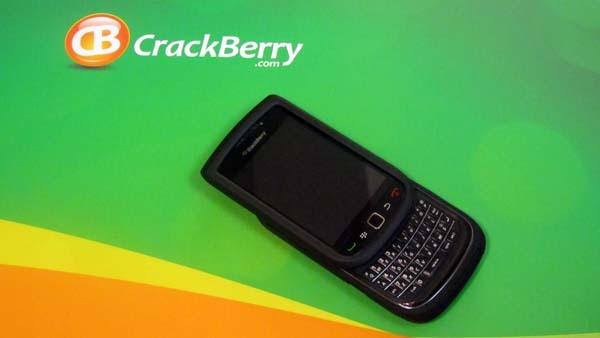 Unable to focus on the virtual keyboard, you attempt to slide your BlackBerry Torch 9810 or 9800 open to use the physical one. The next thing you know, you’re watching your Torch slip out of your hand and hit the ground. If only you had more protection on it. 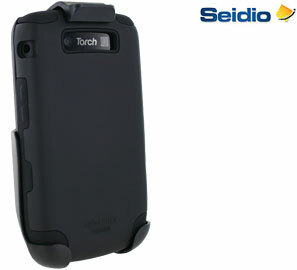 Now a while back, I tried out the Seidio Innocase Active for the BlackBerry Torch 9810 and 9800. I was quite impressed with their CONVERT combo, so I wanted to check out something a little less portly. With a thickness of just over 2 millimetres, what kind of protection can it offer? The Innocase Active is a definite must if you want more protection than their low profile Innocase Surface snap-on case, but less bulk than a heavy duty one (which they don’t make for the Torch 9810/9800 anyway). 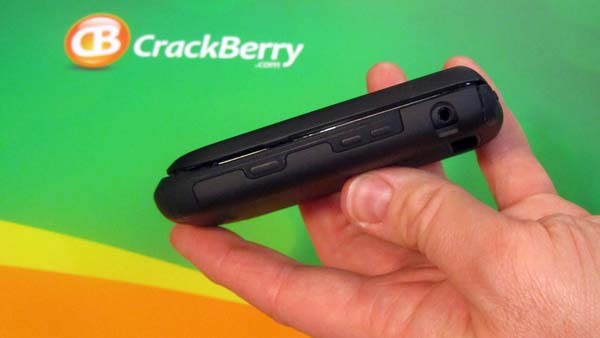 The innermost layer of the case is a durable silicone skin meant to cushion your BlackBerry Torch, except for the screen portion. 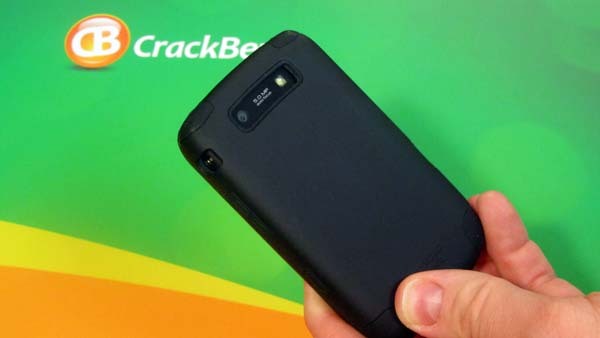 The second layer is a sturdy plastic to give a back bone to your smartphone. To be honest, I’m a big fan of anything that gives me some extra grip. Not only is the plastic exoskeleton tough, it also sports a rubberized, or velvet-like coating to add some security. The same coating can be found on the screen portion, which gives you the added benefit of being able to slide the screen up much more easily. The right side of the case keeps all of your buttons protected, but has a cut out for the headset jack; leaving it exposed. Even with the buttons covered, the silicone did not take away the functionality. 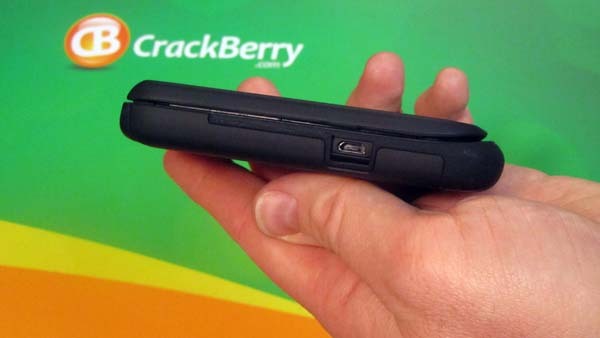 The left side also sees the USB port exposed, but doesn’t restrict you from easily plugging your BlackBerry Torch in. The Seidio Innocase Active comes in a variety of colours- black, sapphire blue, burgundy and amethyst – keep in mind that the silicone skin will always be black. 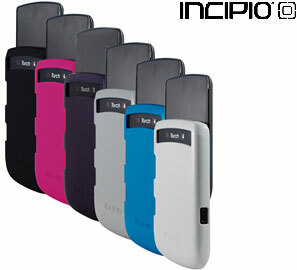 The case is compatible with the Innocase Active holster. This holster has a spring clip to help keep your phone safe and secure. The compact design is perfect for every day challenges. 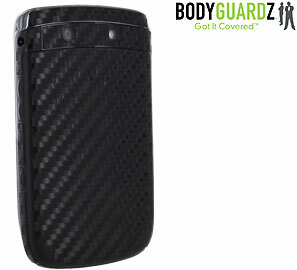 It gives moderate protection, without compromising how you use your BlackBerry Torch. Whether it's a pocket or bag, you know it's moderately protected. My own Innocase Active had some issues keeping up with my routine BlackBerry cleaning. Two of the teeth on the snap-on portion snapped off. I was also hoping for plugs for the USB port and head phones. As I said before, The Innocase Active is great for those who want enough protection to see them through their day, but not enough bulk to inhibit how they operate their smartphone. The colour choices they offer will probably be the biggest choice you have to make here; as owning this case is a no brainer. "Protects from scratches but not as well when it comes to damage from a fall." "For complete protection, and easy access, get the holster to go with it."